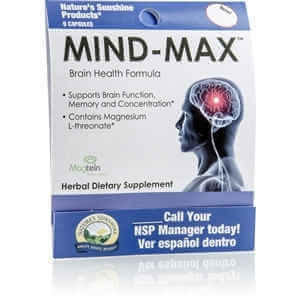 Supports brain function, memory and concentration. Mind-Max contains magnesium l-threonate plus gotu kola aerial parts, bacopa leaf and ginkgo leaf—herbs well-known to benefit circulation and brain health—for a powerful brain boost. Between the ages of 20 and 90, the average person loses 5–10% of his/her brain weight, with an accompanying loss in memory, attention and other cognitive functions. Research shows that a decreased number of nerve synapses (the connections between nerve cells) may be responsible for this cognitive decline. 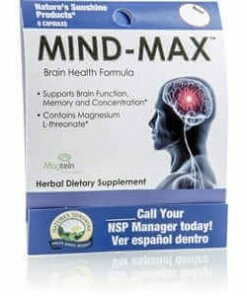 Magnesium plays an essential role in nerve synapses. However, magnesium shortages have become common with the increase in processed foods and the lack of magnesium-rich whole foods in the diet. Moreover, most forms of magnesium are not well-absorbed by nervous tissue. Researchers at MIT have discovered that magnesium l-threonate, a highly absorbable form of magnesium, can easily cross the blood–brain barrier and that it increases the brain’s magnesium level. 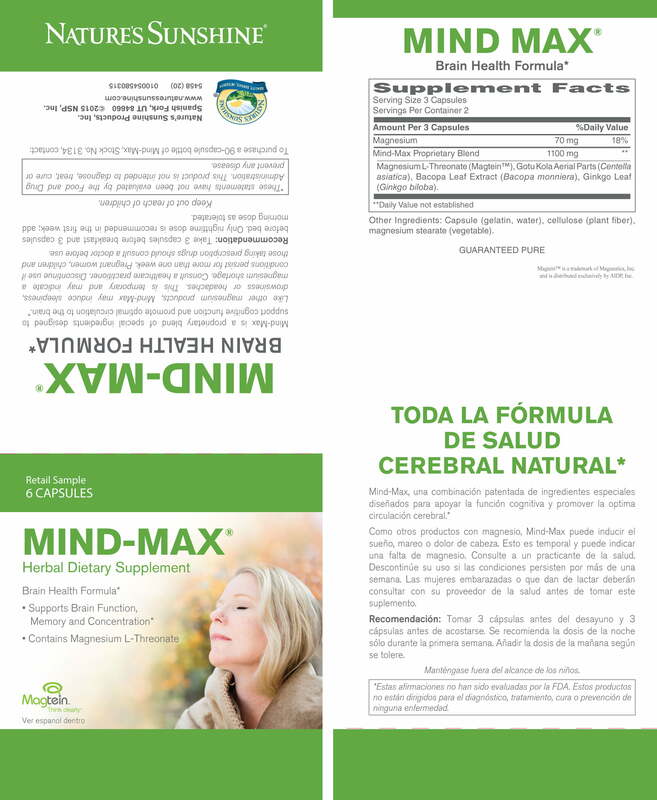 Magnesium l-threonate, gotu kola aerial parts, bacopa leaf extract and ginkgo leaf. 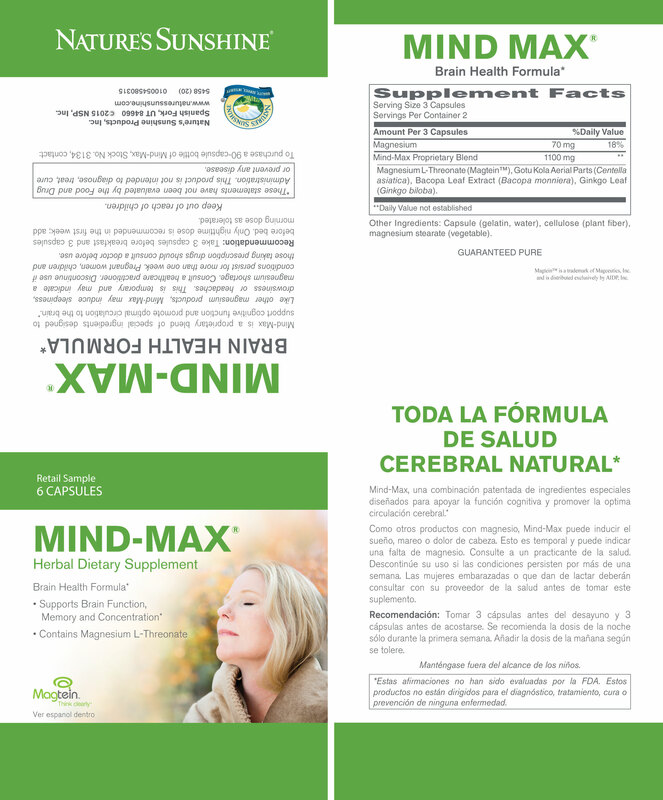 Take 3 capsules before breakfast and 3 capsules before bed.